Here’s one for the Bourbon drinkers in the style of the famous “Wild Turkey”. 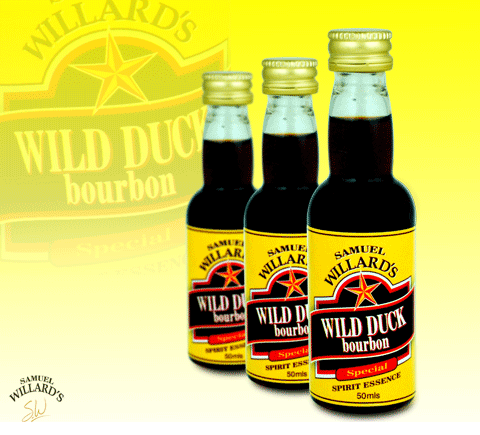 Typically drunk over ice with cola, this Wild Duck Bourbon essence is a must for any home bar. Samuel Willard’s Wild Duck Bourbon essence produces 2250mL of spirit from each 50mL bottle.